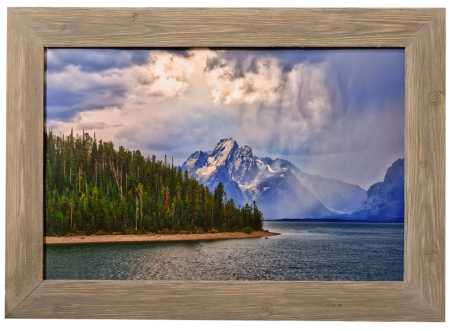 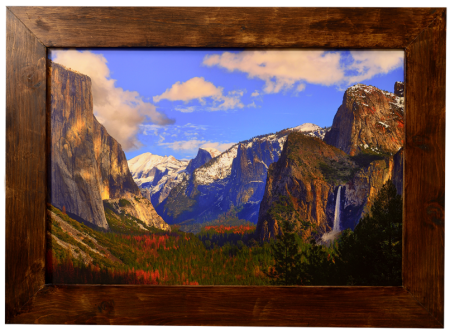 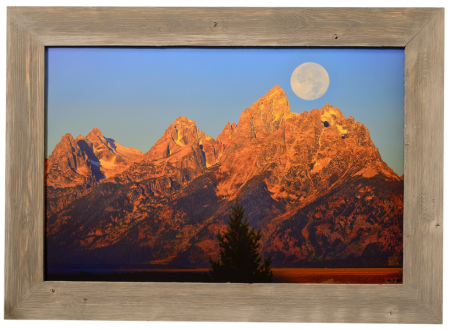 These pieces are mounted in hand-made custom frames using either barnwood, sanded and stained natural wood, or with a decorative golden pecan finish. 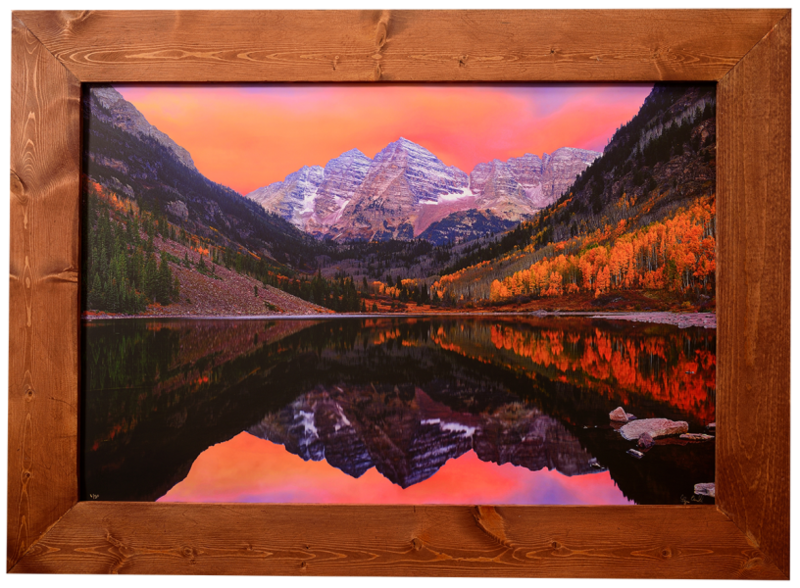 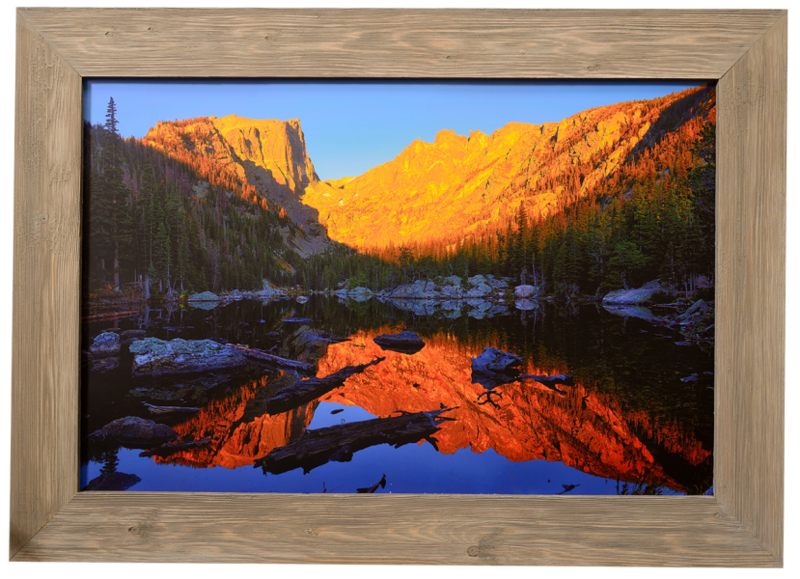 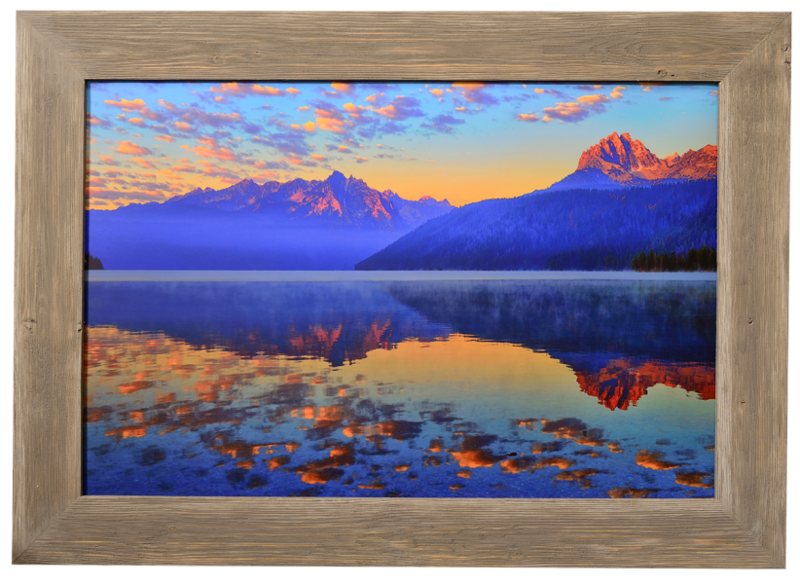 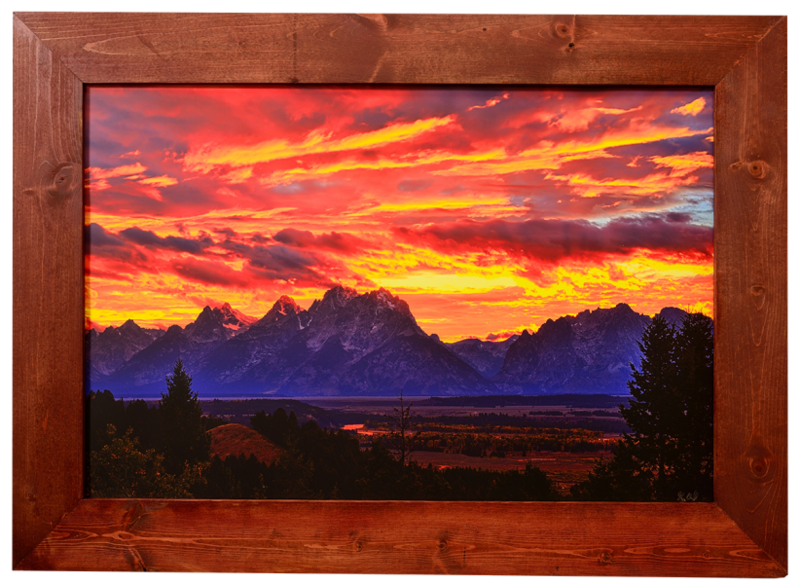 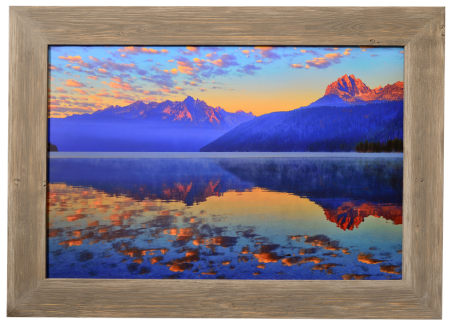 The prints have been treated with Timeless art print varnish to provide UV, scratch, and moisture protection so that no glass is needed over the print, eliminating glare on the artwork. 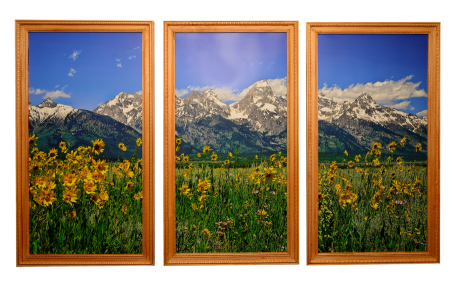 Finished pieces come with a sealed back and hanging wire ready to put on your wall. 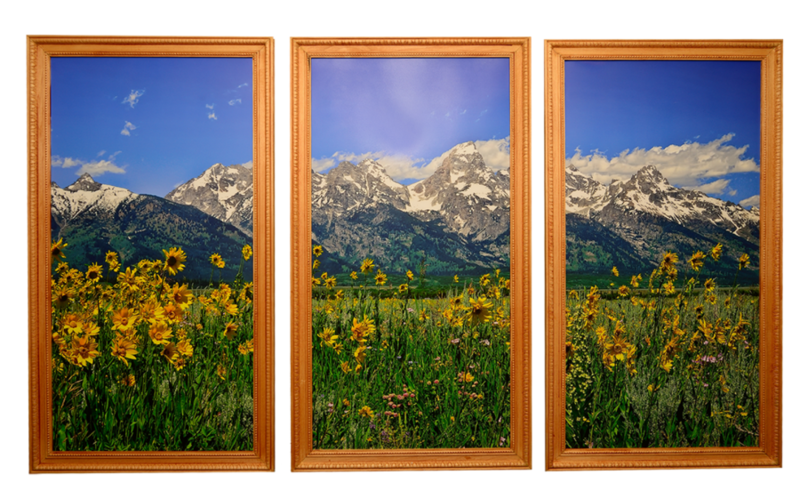 Below are actual pictures of the finished pieces.